Below are the most frequently asked questions by students and parents in our College Success Office. Please read through each Q & A to learn more. We hope this will help answer some questions quickly. Q: When are the counselors available? If necessary appointments may be made outside office hours. Q: When can I come in to ask about tutoring, get help with my college applications or ask other college/career related questions? A: Walk-in times for help are before school and after school. Students of all grade levels are encouraged to come into the Counseling Office with questions. Please be sure to check and see if the counselors are available to meet with you right away. Often times, they will talk to you right on the spot if they are not already with a student or have a minute. If you don't approach or ask for assistance, they will think you are just hanging out in the office waiting for another student. Also, do not leave just because they are speaking to someone. You are allowed to politely interrupt. Q: How do I make an appointment my counselor? A: Counselors are often available meet one-on-one with students. They can sign up in the Counseling Office to see their counselor. Counselors will call them out of class to speak with them. Students may also stop by the Counselor Office to see if their counselor is available right away. Often times, the counselor is able to set aside a few minutes to answer questions. For a more direct and quick response, students are encouraged to email their questions to their counselor. The counselor should be able to return and answer the email within a 24 hour inquiry. Q: I have no idea what Early Action/Early Decision are or what a "Profile" is. How can I find out what all the terms colleges use mean? A: Educationplanner.org came out with a comprehensive glossary of admissions terms that should help you learn the language college admissions people use. Q: What is the CEEB code for Alliance Tennenbaum Tech? Q: How do I send my transcripts? A: Counselors will guide you in the process of how to receive transcripts. Q: How do I find out what my rank is in my graduating class? A: Tennenbaum Tech does not rank students (many high schools do not). You can put "NA" (not applicable). Q: How many students are in the Class of 2018? A: As of January 2018, there are 84 seniors in the Class of 2018. Q: What grading scale does Alliance Tennenbaum Tech use? A: Alliance Tennenbaum Tech uses a 4.0 scale. Q: How do I find out if I qualify for fee waivers for the SATs/ACTs and college applications? A: If your family's income is less than the numbers below, you should qualify for testing and college application fee waivers. For each additional family member over 6 people add $7,067. If you think you may qualify for fee waivers, you should bring the first two pages of your parents' taxes from the previous year to your academic counselor. They will be the ones who give you the waivers. Q: When should I take the SATs/ACT? A: We suggest that most students should take their standardized tests officially for the first time in the spring of your junior year. The SAT Reasoning Test should be taken in March and the ACT with writing in April. If you are in AP classes, the best time to take the SAT Subject Tests would be in May when you're already studying for the AP exams. If you aren't in AP classes, you can take the exams in June when you are studying for finals. The UCs will no longer require the SAT Subject Tests starting with the Class of 2012, although some specific majors within the UCs and other colleges will still want you to take them. Be sure to look for this during your college research. Most colleges will take test scores through the December test date of your senior year, so you should have plenty of time to re-take the tests if you need to. The most common exception would be for those of you who plan to apply Early Action/Decision or to those colleges who specifically state that they want your tests completed earlier. In most cases, you still will be able to take at least the first test in the fall. To see whether your SAT or ACT score is higher, click here. You can also go to convertyourscore.org. Q: How can I prepare to take the SATs and ACT? A: There are many ways for you to prepare to take both tests. Most Freshmen take the EXPLORE test and Sophomores take the PLAN test, which is practice for the ACT, and all Juniors will take a complete practice test without the writing portion during their Junior year. Juniors all take the PSAT in preparation for the SAT. Q: How do I sign up for the SATs/ACT? How do I send my SAT or ACT scores? A: To register for the tests or to send scores, go to sat.collegeboard.com for the SATs and actstudent.org for the ACT. Q: What if I can't show up to the SAT or ACT test date I registered for? A: Contact the College Board or ACT to let them know you'd like a test date change (an additional fee is charged). Q: How do I register with the NCAA or NAIA Eligibility Centers if I want to play sports in college? A: Go to Eligibilitycenter.org to get registered with the NCAA. Those students who are planning to play at the Division 1 or 2 level need to register preferably at the end of junior year. You will also need to send in a transcript to the NCAA. Please see the counselor to send your transcript to the NCAA Eligibility Center. To find out which colleges offer each sport, go to the Student Section of the NCAA Eligibility Center. As of September 2010, students who wish to compete at NAIA schools must also register with the NAIA Eligibility Center. You will also need to send your transcripts to NAIA. Please see your counselor to send your transcript to the NAIA Eligibility Center. Q: What are the benefits of taking AP classes? Is it better to take a regular level class and get a high grade or take the AP class and get a lower grade? A: Colleges like to see students take the most rigorous courses that they can be successful in. Most schools will tell you it's better to get a "B" in an AP course than an "A" in a college prep level one. About.com has a good article on the benefits of taking AP courses and if a high GPA or challenging courses are better. To access the article, click here. Q: When should I start applying to colleges? A: You really should fill out as many of your college applications as you can in the summer before senior year. Some schools have their applications available as early as July 1st. There are over 400 colleges and universities that now accept the Common Application which comes out August 1st every year. Starting in 2014, the UC has announced that they too will open application submission on August 1st. If the application for the school you're applying to isn't available to be filled out, you can contact the college to at least start working on your college admissions essays. Some schools list their essay topics on their website or you can call or email the undergraduate admissions office to get them. You shouldn't wait until the fall of senior year to work on your applications. You want to be able to spend that time increasing your test scores, continuing to get good grades, and enjoying your last year of high school! The goal is to complete the majority of your applications by the time school starts in the fall. Q: How many colleges should I apply to? A: For most students, 6-10 schools is a good number of schools to apply to, but it is certainly up to the discretion of the parents. 1 - 2 "Reach" schools - These are the ones where the average GPA and test scores for the incoming class are higher than yours or those schools who have a very low acceptance rate (e.g. the Ivy League, Stanford, Notre Dame, etc). 3 - 4 "50/50, Good Fit, Match" schools - Your GPA and test scores fall right into the middle of their averages. 1 - 2 "Likely/Safety" schools - The incoming freshmen at these schools have a lower average GPA and test scores than you do or you meet the minimum requirement to be accepted. For example, at Arizona State, they may list their average GPA as a 3.4, but you only need either a 3.0 in the courses they require, a 24 on the ACT or an 1110 on the SAT and you are automatically admitted. Q: Do you have any tips on writing an effective college essay? You may also always ask any teacher or counselor for tips and assistance with your college admissions essay. Q: What should I be looking for in a college and what questions should I be asking the Admissions reps? A: If you aren't sure what kinds of things you should be looking at when exploring schools read About.com's excellent article on what to look for in the search for a perfect college. Collegeweeklive.com also has a great handout with questions you can ask Admission reps. Collegeweeklive.com also offers virtual college fairs, video and text chats with college admission representatives and online webinars covering various college admissions topics. It's a great way to find out about colleges even if you aren't able to visit the schools. Q: I want to apply to the UCs, but I'm not sure what to do. A: The UCs came out with a website to help walk you through the application process. You can access it here. Make sure that you print out the application checklist or requirements for all the schools you are applying to so that you don't forget anything. Q: What is my CA SSID? A: Talk to your counselor about obtaining. Q: Do I need to send my official test scores through College Board or ACT to the colleges? A: YES for most colleges, you will need to send your SATs directly from the College Board or your ACTs from ACT. Please go to their websites to send your scores. For the Cal States and UCs, you can send your scores to one school in each system or to one code and it will go to all the schools within that group. Q: What do I need to do to get teacher recommendations? A: You need to ask your teachers to write your recommendations at least 3 weeks before the application due date. If they will be submitting it by mail, you will need to provide them with stamped envelopes addressed to each of the schools you will be applying. Most colleges will want a recommendation from at least one academic course (usually Math, Science, History or English). Often times, they prefer a junior year teacher or a senior year teacher who you've had before. Since they should be addressing your performance in the classroom, it would help if you also gave the teacher a copy of some graded work so that they can pull comments straight from there to add to your recommendation. It is in your best interest to ask a teacher that knows you best and can write a glowing letter on your behalf. Q: I'm confused. Each college requires different things for their applications. How can I keep it all straight? Q: I'm thinking about attending a Community College when I graduate, but I'm not sure what to do or which ones are good for what I want to study. Where can I get information? A: The California Community Colleges came out with their own website that gives students all the information they will need to attend a community college. You can also fill out applications for most California Community Colleges there. You can find the website at www.cccapply.org. Q: I've been waitlisted at the college I want to eventually attend. What should I do? A: If you've been waitlisted at a college, there might be a chance that you'll be accepted after May 1 (this is the date when colleges find out how many of their accepted students confirmed their spot in the incoming freshmen class). Please understand that some schools have extremely long waitlists (one school's list has over 4,000 people on it!). Be sure to read the letter the colleges sent you to see what their process is for their waitlists. Make sure you also make other plans and commit to another college where you were accepted. If you are taken off the waitlist, you can always rescind your commitment to the school you deposited to. Q: I got denied from some colleges, but I want to appeal. What can I do? A: If you would like to appeal your admissions decisions, be sure to find out what the process is at the specific college. In order to appeal their decision, you should have new information that wasn't included in your original application (asking them to appeal just because you really, really want to go won't help you). Make sure you also make other plans and commit to another college where you were accepted. If you are taken off the waitlist, you can always rescind your commitment to the school you deposited to. Below are some articles that will help you when appealing college admission decisions. Q: Should I take an interview if it’s offered? A: Absolutely! Admissions reps or alumni reps will often grant students an opportunity to be interviewed as part of the college process. If it is offered, it is highly recommended that you should take it! This is a chance for the rep to put a face to the application they’re reading. Remember to thank them for the opportunity to meet with them and send them a personal thank you note a few days later to make an even longer lasting impression. Q: What kind of questions will they ask me during an interview? A: About.com has a great article on the college admissions interview. They even give you tips on how to answer questions you might be asked. To see the article, click here. To see 10 Common Interview mistakes, click here. They also added an article on the 12 Questions You Should Be Ready to Answer in Your Interview. Q: I got accepted to my top colleges, but I can't decide before the May 1st deadline to deposit which one I want to attend. Is it okay to send a deposit to both schools until I decide? A: Students CANNOT double deposit (i.e. send a deposit and Statement of Intent to Register) to more than one college. By sending your deposit, you are telling the college that you are taking a place in their freshmen class (and taking away a spot from another student). If the colleges find out you double deposited, they can rescind your acceptance from both schools. Attached are some questions that come up every year when filing FAFSA. Additional FAFSA questions can be answered at Federal Student Aid Programs at http://www.fafsa.ed.gov/contact.htm. More information regarding the financial aid process is available on the Federal Student Aid website: www.studentaid.ed.gov. Q: I'm not sure if I can afford to pay for college. How can I find out how much financial aid I'll receive? A: Last year the federal government mandated that each college put a "Net Price Calculator" on their websites so families will get a general idea of what their financial aid packet will look like if they attend the school. To access the Net Price Calculators at the college you're interested in, go www.NetPriceCalculator.com. Q: When should I file the 2018-19 FAFSA? Q: How can I apply for the Cal Grant? A: To be considered for a Cal Grant you must file the FAFSA by March 2, 2018 (should be done much earlier, it is open October 1, 2017). The California Student Aid Commission advises students to file as early as possible. In addition, a Cal Grant GPA must be submitted for each student that wishes to receive a Cal Grant. Alliance Tennenbaum Tech will submit all Seniors' Cal Grant GPA to the California Student Aid Commission unless a student does not want Alliance Tennenbaum Tech to share this information. If you wish to opt out of the Cal Grant eligibility process then please complete the OPT OUT FORM by September 28, 2017. There is no harm in submitting your Cal Grant GPA, so we highly encourage you to disregard the opt out form. After you submit your FAFSA, check the status of your Cal Grant here: https://mygrantinfo.csac.ca.gov/logon.asp. Q: How can I find out whether my college has an earlier financial aid and scholarship filing deadline? A: Visit the college financial aid website. The federal and state program deadline will be the same at most schools but institutional scholarships frequently have deadlines in January. Q: What tax forms will I use for the FAFSA? A: The FAFSA questions are all on the FAFSA on the Web worksheet (a helpful tool that explains each section! Very user friendly!) The worksheet can be completed before sitting down to file the FAFSA. By completing the FAFSA on the Web worksheet, students and parents can have all of the answers ready. Undocumented students Can NOT apply for financial aid using the FAFSA. You must complete the DREAM Act Application. See the instructions listed below for the California Dream Act Application. Q: I filled out the FAFSA. Now what? A: Verify that all the data on the SAR (Student Aid Report) is accurate. Submit updates at www.fafsa.gov. Revise student and parent SAR data with final 1040 tax numbers, if necessary. After you've verified your SAR, check with the campus financial aid office to make sure that all relevant application paperwork is complete. Students may be requested to submit tax forms for verification purposes. After filing the FAFSA, students should establish a WebGrants for Students (WGS) account. Using WGS, students can see their Cal Grant application status, confirm and update their postal and e-mail addresses, provide the required high school graduation confirmation once they graduate and change their college of attendance. WGS can be accessed 24/7 and is an easy and efficient way for students to stay on top of their application and, if awarded, their Cal Grant award. To establish a WGS account, students should go to www.webgrants4students.org and follow the instructions! Q: How can I get help filling out the FAFSA (Free Application for Federal Student Aid)? A: Each year we have a financial aid workshop that will help explain how to fill out FAFSA Form. The California Student Aid Commission also holds "Cash for College" workshops. To find out more information and to get dates they are available, click here. Q: I got my financial aid award letter from the college I got accepted to, but I don't know how to read it. What does it all mean? A: FastWeb puts out a very helpful newsletter that explains both financial aid terms and how to read your financial aid award letters. You can access it here. Also, finaid.org has plenty of information on how to pay for college. Q: How do you apply for the Cal Grant? A: Your FAFSA (Free Application for Federal Student Aid) application is also the application for Cal Grants. Alliance Tennenbaum Tech sends all seniors' grades electronically so you don't have to do that. Q: What is the "Academic Competitiveness Grant" and how do I qualify? Students must qualify for the Federal Pell Grant, meaning their "Expected Family Contribution" or EFC must be below $3,850. 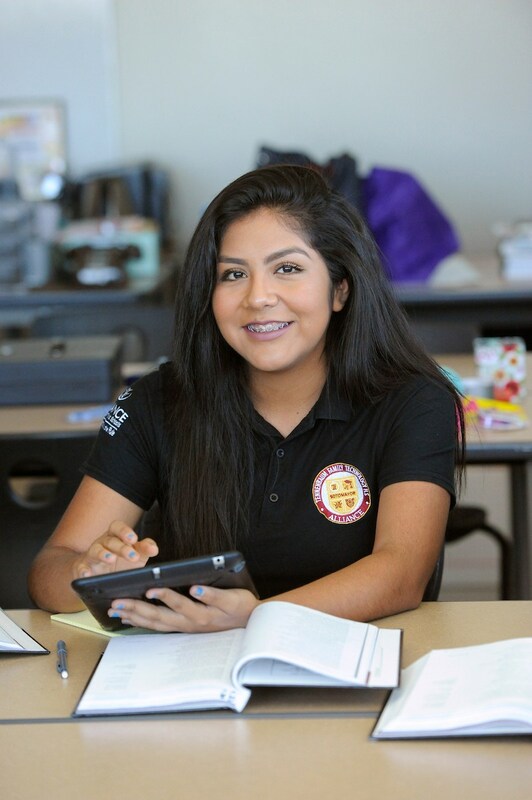 For most of our students, they can mark "Meets the California A-G requirements" for the "Recognized Rigorous Secondary School Programs of Study". If you don't meet the A-G requirements (which are the same ones needed to qualify for Cal States or UCs), check the website for other ways to qualify. Q: Someone told me that the UCs will pay for your fees if your family income falls below a certain level. What does your income have to be and what else does it cover? A: The UC Blue and Gold Opportunity Plan will cover educational and student services fees if you are a California resident whose family earns less than $80,000 per year and you qualify for financial aid. Blue and Gold students with sufficient financial need can qualify for even more grant aid to help reduce the cost of attending college. For more information, click here. 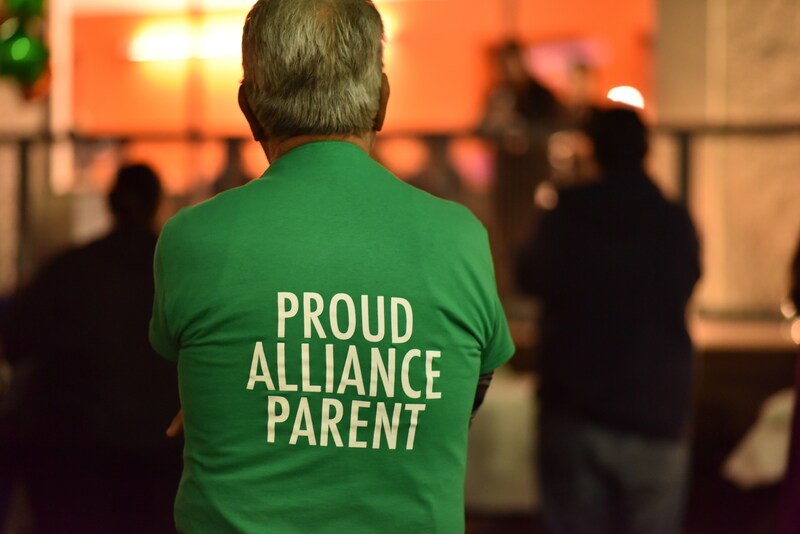 The College Success Team encourages parents’ and/or guardians' active involvement especially in the college application process; however, students should be the first to take the lead when researching, asking questions, and applying. Parents and/or guardians are most welcome to email their questions regarding their student’s college application list etc as they arise.